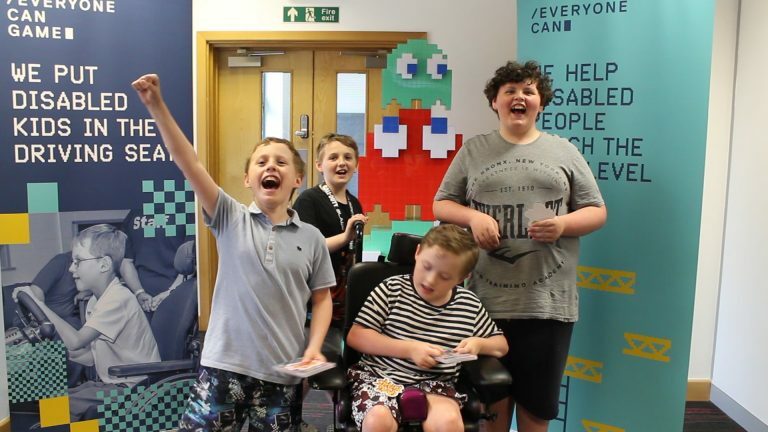 Over the past four years we have been going out to other charities and organisations running gaming sessions for disabled children. Then, recently with the opening of our new centre we have been able to run even more gaming sessions! Thanks so much for your excellent session delivered to our Ambassador Super Club in Liverpool on the 18th Feb. Everyone had the best time with some stand out moments: One of our members had never before been able to take part in gaming due to their disability. They were able to use the eye gaze technology within a game and loved the experience! This members parents were overjoyed and amazed when they arrived at the end of the session and were so grateful that their child was having this experience and with his friends. They plan to visit your new centre when it is open. 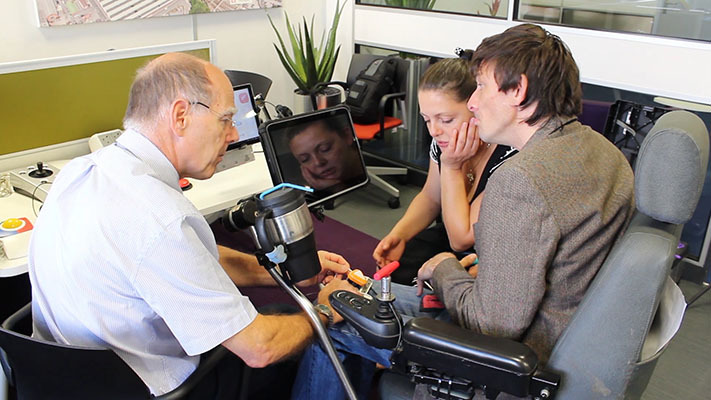 Another member did not feel it would be real VR as they could not imagine technology that was wheelchair user friendly. They had the best time with you and that sense of independence, freedom and being with their mates doing something they dreamed about was a real highlight. Again this person’s parents came into the session at the end and the young person took great delight showing them what they could do. It was the first time they had interacted as a family around a console before together. All 8 of our members attending had a very unique experience with you guys which opened everybody’s eyes to possibility, gaming and how technology enables and enhances connection, communication, play and imagination. Simply perfect, would 100% recommend to groups, clubs and schools with students / young people who have a disability. Thank you for today. My kids rarely get to go out so it was fantastic for them to be themselves and mix with other kids who were not judging them. They are really looking forward to returning another time. Matthew said he had an amazing time. 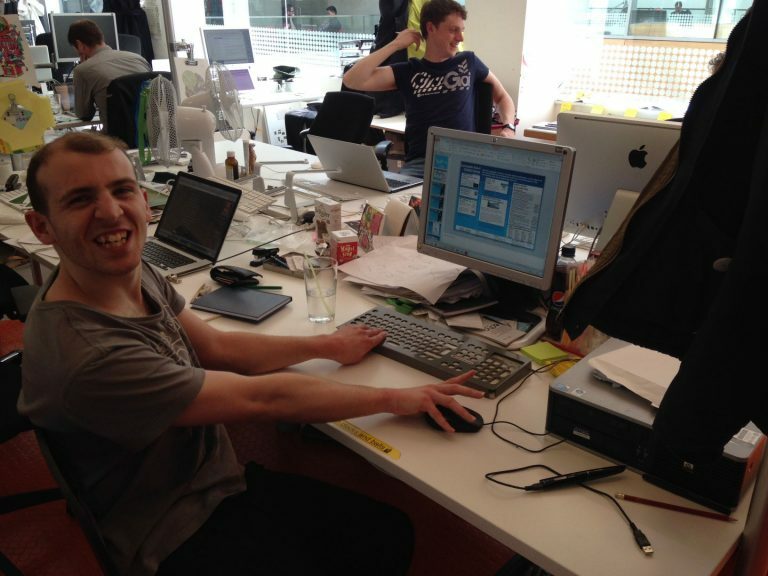 He enjoyed being able to access the different games and as a wheelchair user didn’t feel excluded. The staff were really friendly and helpful (and patient). We have already booked onto another session on 13th June and he can’t wait to return. As a parent of a child with extra needs the centre is an amazing space where the young people are able to enjoy themselves without being judged and you are offering a great service which is desperately needed. Thank you. Thank you so much for a great session we all really enjoyed it, To have an accessible activity to attend as a family in the holidays is wonderful and much appreciated, my son Jamie attended today and he is 10 years old he attends a special needs school and has autism, he really enjoyed today’s session, was made welcome by all the staff and stayed for the whole session, it was a great experience and Jamie is looking forwards to visiting again. Thank you for a great session! Just amazing. Supportive, understanding staff. Great, fully accessible building. The only activity I’ve seen my son socialise excitedly without be pushed. Encourages him to ask for help and doesn’t have to worry about creating conversation as it happens naturally. Didn’t want to come home. Thanks very much for having us at the gaming session. The staff were really friendly and helpful. My boys both particularly loved the virtual reality kit, which is quite different to the gaming options they have at home. Luke loved the driving station with the steering wheels and pedals. For me it was an opportunity to take both my boys somewhere safe and non-judgemental, where they could take part in a variety of engaging activities with a high level of adult support. It is often difficult finding places where I can manage both children on my own. The centre is set up really well to accommodate children and give parents the chance to chat, whilst still being able to supervise their children. The whole experience was fantastic! From stepping in the building (equipped with a lift!) We were greeted by friendly, helpful and informative staff…we weren’t rushed or pushed along. The children were invited to have a look at all the games on offer and there was a member of staff on hand at all times. They were very aware of the children and assessed their individual needs very quickly. The kids had a ball!! They played nicely and calmly, this was due to the awesome organisation and lovely atmosphere. No child was left out, no child missed out on anything. To have such a lengthy session was brilliant, it gave the kids time to settle, to organise themselves and be happy. The parents were relaxed and confident in stepping back to observe, which is a wonderful thing!! We even all had a brew!! Marvellous! We can’t wait to return and are hoping to see more of Everyone Can in the holidays! Thank you all so much. There’s loads of ways you can support us - from recommending a game to donating software and hardware. We provide a number of different services - from home assesments to our technical helpline.